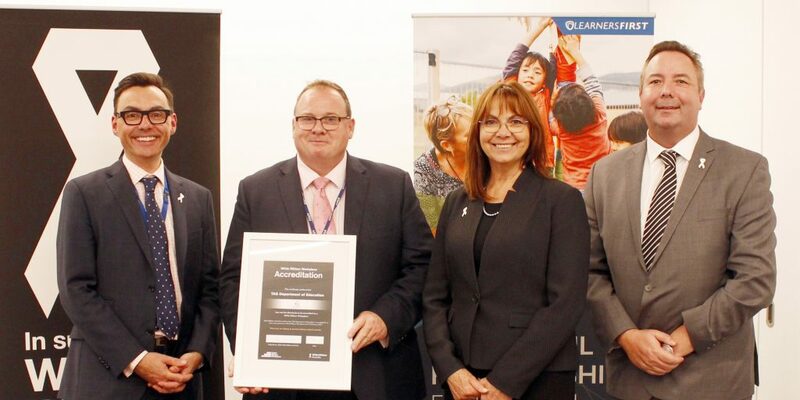 We are pleased to announce that the Department of Education has been granted ‘White Ribbon Accreditation’. The accreditation recognises the work that we are doing across the Department to: address the causes of violence against women, including through our Respectful Relationships education resources; provide support to those affected by family violence; and promote gender equality in our workplaces. Undertaking the accreditation process has inspired all areas of the Department to work together to end violence against women and support those affected by it. We have created a range of family violence resources that have been distributed to all workplaces; trained managers in how to appropriately respond to a disclosure of family violence by an employee; and supported schools and workplaces to undertake risk assessments that will help identify potential risks relating to violence against women. We are committed to continuing this work over the following months and years. The Workplace Accreditation Program supports workplaces to adapt organisational culture, practices and procedures that promote safe workplaces for women and respectful relationships allowing this complex issue to be addressed in a safe and structured way. Through this program DoE commits to community leadership in driving social change, raising awareness and changing attitudes and behaviours on the issue of violence towards women. 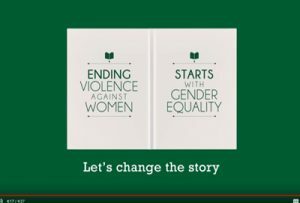 The Department’s commitment to leading this change and to zero tolerance for violence is detailed in the DoE Family Violence and Violence Against Women Policy. For more information on White Ribbon, visit the White Ribbon website. Throughout the Department’s White Ribbon Accreditation journey, there have been a number of exceptional examples of how our schools and workplaces have been inspired to share their unique stories. The video below is just one example, from Ravenswood Heights Primary School and you can learn more about their journey by visiting the Colony47 website. Acknowledgement: This film was produced by Glenn Folpp for Colony 47. It tracks the journey of the Ravenswood Heights Primary School Choir and how they help write a song about saying no to family violence. The song is called “It’s Never Ok” recorded and sung by Rav Thomas, Australian Singer Songwriter.